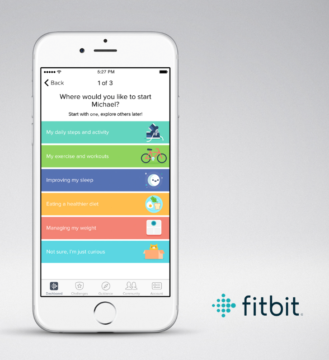 One of the strongest aspects of the Fitbit experience is the social element where you can check your rank among friends, engage in challenges over a day, week, the weekend, the holidays, or more, and taunt or encourage each other along the way. 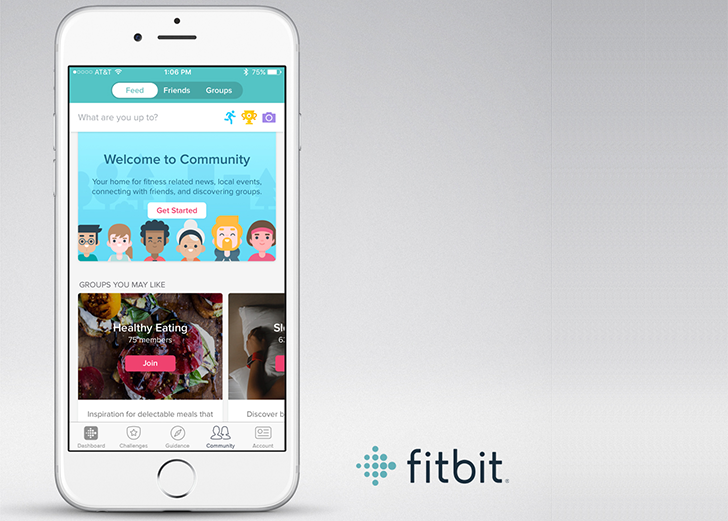 But unlike several other fitness services, Fitbit has never had a proper community with groups, posts, individual shares and comments. That is about to change now. At CES, the company announced a new Community section that takes the Friends section to the next level. There, you can check a feed of shared posts and images from your friends, discover and participate in workouts by professionals, and join groups to help each other toward specific goals. The Community will be rolling to US users in March of 2017 and globally later this year. New community groups (left) and goal setting guide (right). 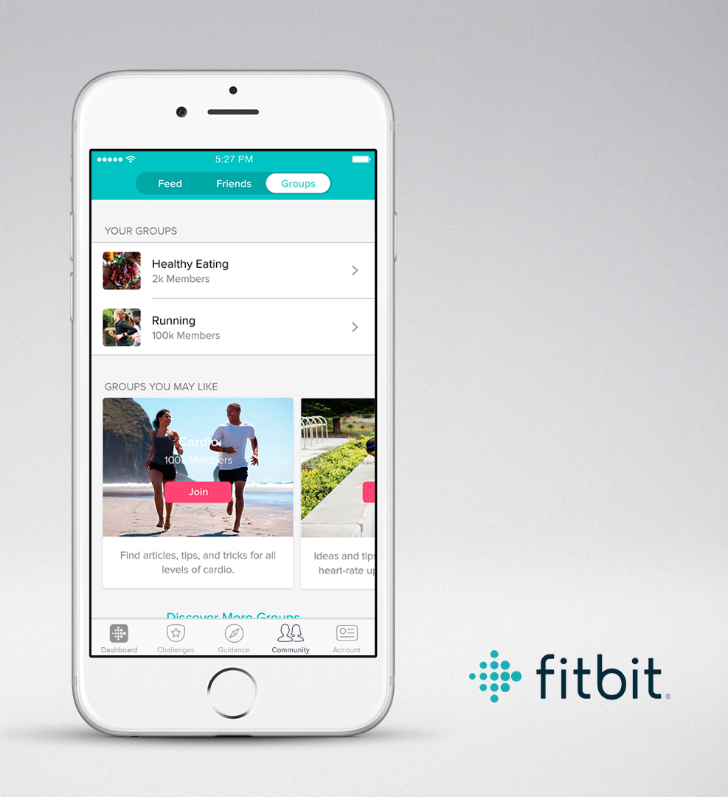 Excuse the iOS screenshots, these are the only ones Fitbit provided. 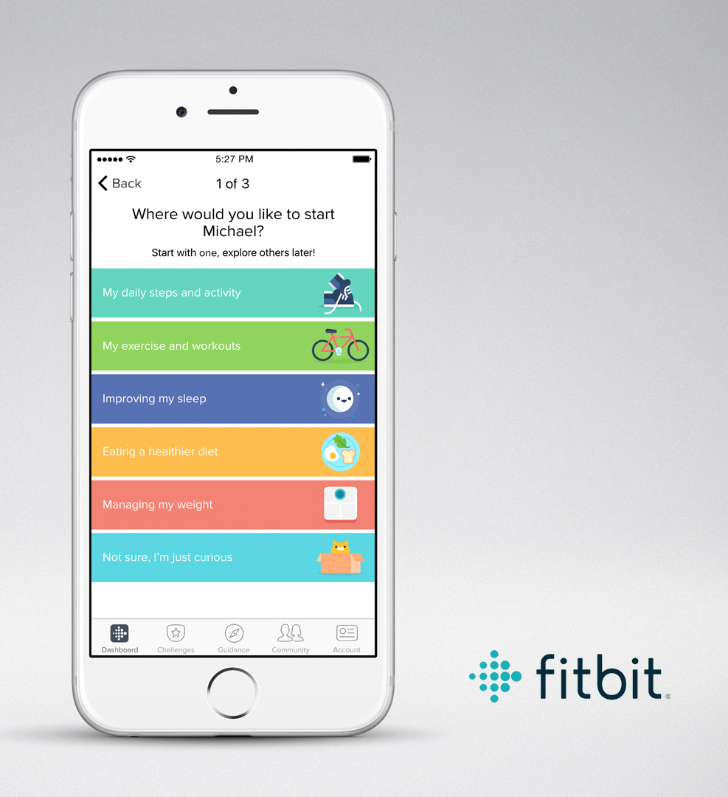 Fitbit is also improving its goal setting approach with a new step-by-step guide to help you choose realistic goals in different areas (steps, sleep, exercise, nutrition, etc) that will be rolling out to all users in January 2017. I'm slightly disappointed in this feature as I was expecting something smarter that focuses the Fitbit experience more on the activity level than the number of steps (for people who like to swim or bike for example). 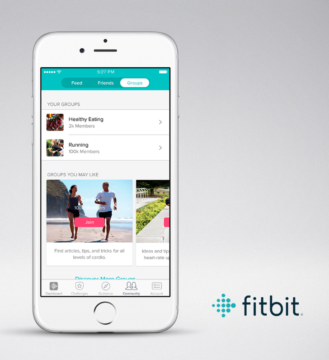 Finally, Fitbit is also improving the Fitstar personal trainer experience with recommended workouts and customizable soundtracks (available right now), and it's also updating the Fitbit Blaze in February to add a couple of features from the Charge 2, namely Cardio Fitness Level and the relaxed guided breathing sessions.